Showing recent results 151 - 165 of 372 products found. 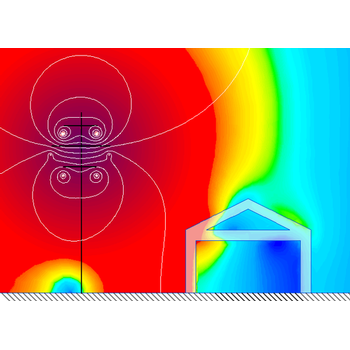 QuickField™ - Tera Analysis Ltd.
QuickField™ is a very efficient Finite Element Analysis package for electromagnetic, thermal, and stress design simulation with coupled multi-field analysis. It combines a family of analysis modules using the latest solver technology with a very user-friendly model editor (preprocessor) and a powerful postprocessor. 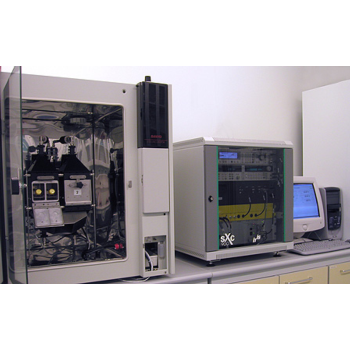 Magnetic, Electric, Thermal and Stress analysis packages. FEMM - David Meeker, Ph.D.
FEMM is a suite of programs for solving low frequency electro magnetic problems on two-dimensional planar and axisymmetric domains. The program currently addresses linear/nonlinear magneto-static problems, linear/nonlinear time harmonic magnetic problems, linear electrostatic problems, and steady-state heat flow problems. The Ultra Mag is an advanced, leading-edge electromagnetic flow meter. It?s field-proven for the specific needs of the water & wastewater industries. The unit?s unique NSF-approved UltraLiner provides superior electrical insulation as well as excellent protection against corrosion and abrasion. The Genesys Core, Synthesis, Circuit, System, EM bundle isa powerful Genesys configuration containing RF system, circuit and electromagnetic simulation along with the most complete circuit synthesis capabilities in the industry. It is also priced below any equivalent capabilities in the market to guarantee the highest performance and value for the RF and microwave board designers. The Genesys Core, Synthesis, EM bundle combines the power of the Genesys linear circuit design environment with the industry's most capable 3D planar electromagnetic simulator (Momentum GXF) and the widest coverage of circuit synthesis applications so that designers of varying skill levels can quickly succeed at high performance design tasks. Based on the Finite-Difference Time-Domain method, EZ-FDTD brings the full power of electromagnetics to solve complex EMI/EMC real-world problems for any frequency ranges that your application demands. Eliminate guessing for critical problems. Eliminates rule of thumb uncertainty. Provides insight, confidence and solutions. Tests radiofrequency electromagnetic field exposures from mobile communication devices operating in the 900 MHz region (additional frequencies upon request). The setup is based on two Crawford TEM cells that are blindly excited by a fully computer-controlled signal unit. 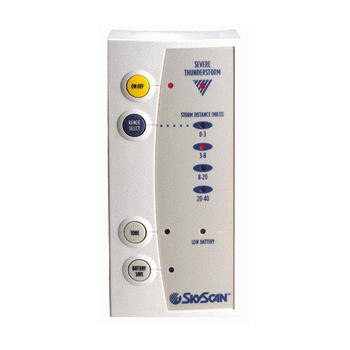 The R&S®EMF monitor is robust, reliable, and accurate. 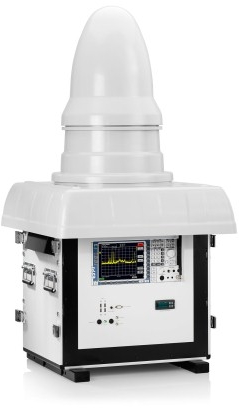 As an autonomous test station, it precisely and seamlessly detects electromagnetic emissions in the frequency range from 9 kHz to 3 GHz specified by many EMF standards. The wide dynamic range covers both strong and weak signals. 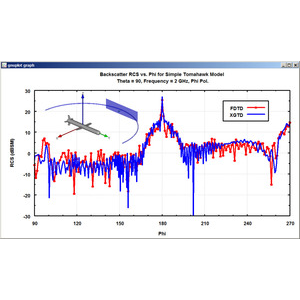 XGtd is a general purpose ray-based electromagnetic analysis tool for assessing the effects of a vehicle or vessel on antenna radiation, predicting coupling between antennas, and predicting radar cross section (RCS). It is ideally suited for applications with higher frequencies or very large platforms where the requirements of a full physics method may exceed available computational resources. 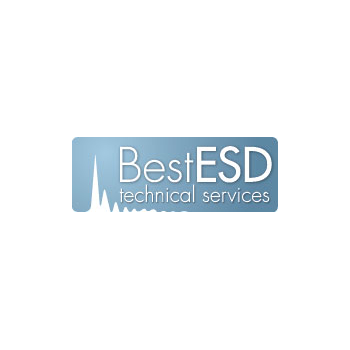 BestESD provides high quality problem-solving and technical guidance for every ESD/EMI consideration in design and production today – from electromagnetic compliance of emerging products, to resolving interference and immunity issues in challenging production facilities, to ensuring a safe ESD environment for sensitive components and assemblies. 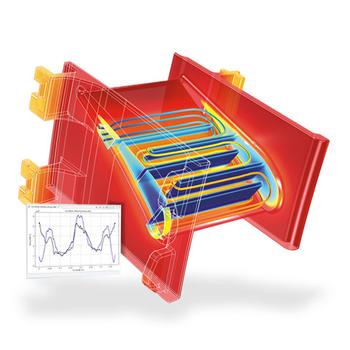 The COMSOL Multiphysics simulation environment facilitatesall steps in the modeling process defining your geometry, specifying your physics, meshing, solving and then post-processing your results. Model set up is quick, thanks to a number of predefined modeling interfaces for applications ranging from fluid flow and heat transfer to structural mechanics and electromagnetic analyses. SkyScan - Xtreme Research Corp. The SkyScan detects electromagnetic emissions from individual lightning strokes, and can be detected at long range by use of ad hoc sensors. It is a hand-held instrument with an electronic system to detect the presence of lightning/thunderstorm activity occurring within 40 miles of your location. 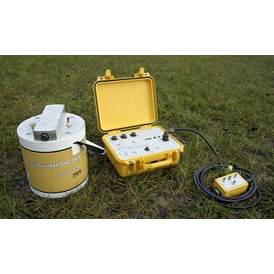 JESSY DEEP is an ultra sensisitive receiver for ground transient electromagnetic (TEM) measurements. Data can be recorded up to ten times longer or three times deeper compared with conventional coil receivers. The superior performance of the receiver especially for late times even allows measurement of targets covered by a conducting overburden. 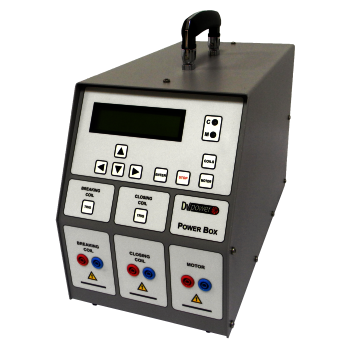 All POB series instruments have a very high ability to cancel electrostatic and electromagnetic interference in high HV electric fields. It is achieved by the very efficient filtration. The filtration is made utilizing proprietary hardware and software. The set is equipped with the thermal and overcurrent protection.